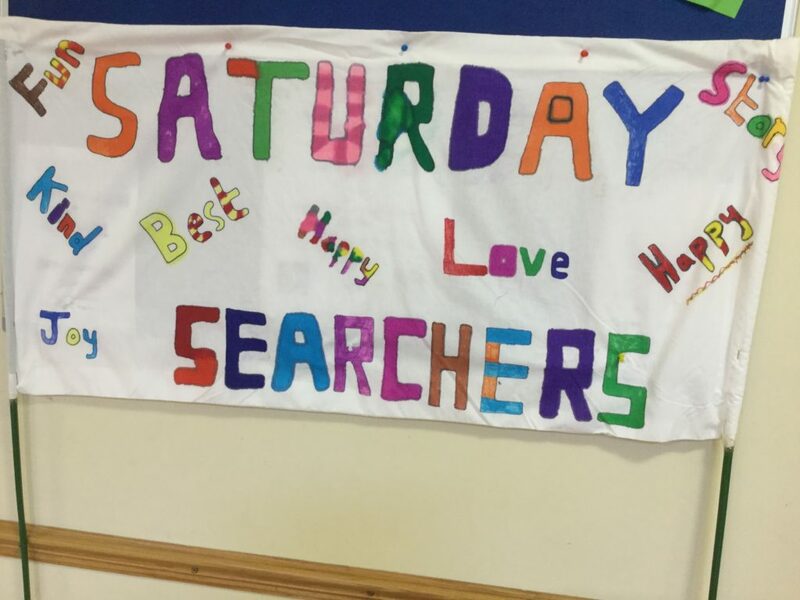 Saturday Searchers meets once a month, usually on the first Saturday with the session starting at 10am and finishing at 12 noon. An invitation goes out to all the local schools for children between the ages of 5 and 11 to come together to have fun and learn about a story from the Bible. The activities are all linked with the Bible story but give us chance to get to know each other, get messy with our art and craft work, make a lot of noise with some of our games, have fun dressing up and doing learning the story through drama and generally realise that Church doesn’t have to mean dull. we are ever mindful of taking care of the young people entrusted to us. so there is always the chance to make new friends.